I have returned from the little island of Haiti in the Caribbean Sea. 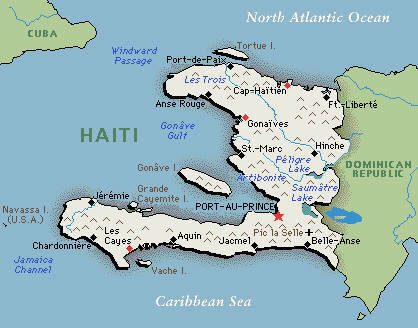 Haiti shares the island with the Dominican Republic. This was my third trip to Haiti, but whose counting? I went in 1971 with my husband. 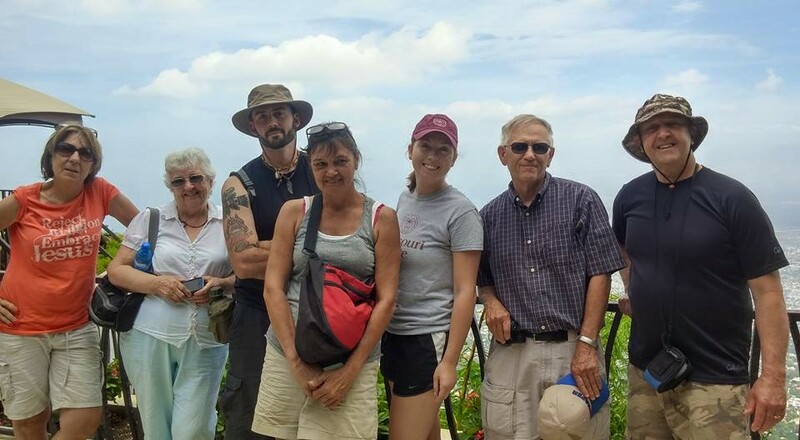 For three weeks, Jerry helped a group from Dearborn Heights, Michigan construct the Rensberry Free Methodist Church near downtown Port-au-Prince. I was hoping to drive by on this trip but didn’t get to. In 1991, I went, with a group of folks from my church, up to Dessalines to Ebenezer Glenn Orphanage. 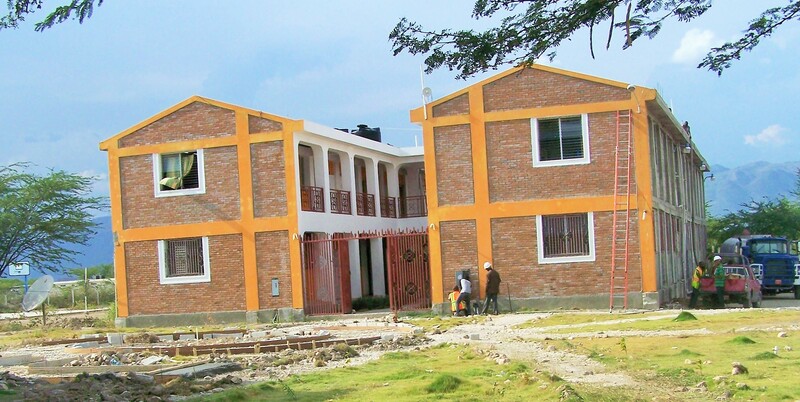 A very fine, self-sustaining orphanage. 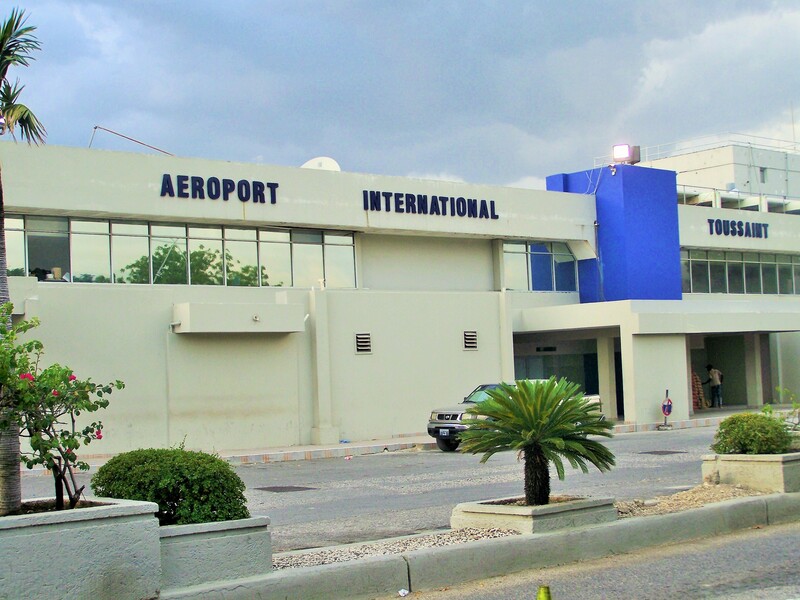 When we landed in Port-au-Prince I was surprised at the new modern airport! I’ve never been to the Dominican Republic and would like to, but on this trip I could look over across the border and see the country! One hundred forty-two people from all over the US went on this trip and it was great! 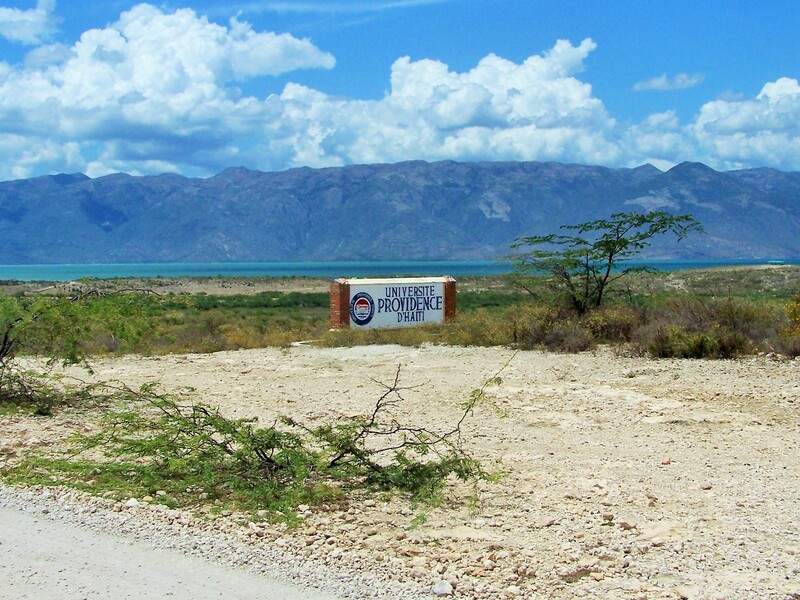 We went to the Providence University, an affiliate of the Free Methodist Church, near Balan, Ganthier Province of Haiti. It’s a new university, still being built, and classes are already being taught. There was a fine, bright, young class of graduates this year. The men’s dorm. This is kind of a greeting place and will have a small store for buying refreshments. The girl’s dorm and, I think, some classrooms in the first floor. Haleigh and I had a room on the second floor, which we shared with two other women. 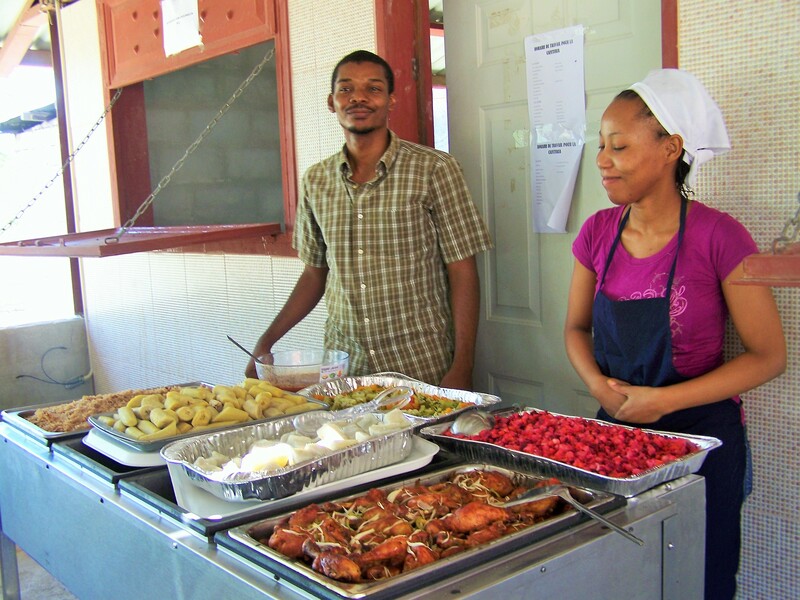 We ate our meals, cooked and served by very efficient Haitian men and women, inside this pavilion. It was good Haitian food! The kitchen was in the room on the end. We also worshipped in here on Sunday. They took all the tables out and put in chairs. 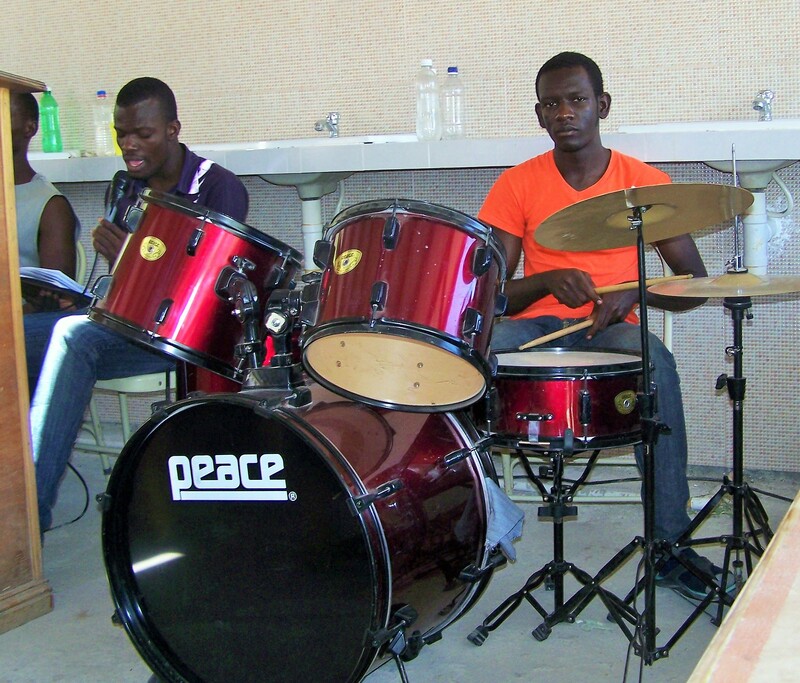 They played drums, guitars, and a keyboard. 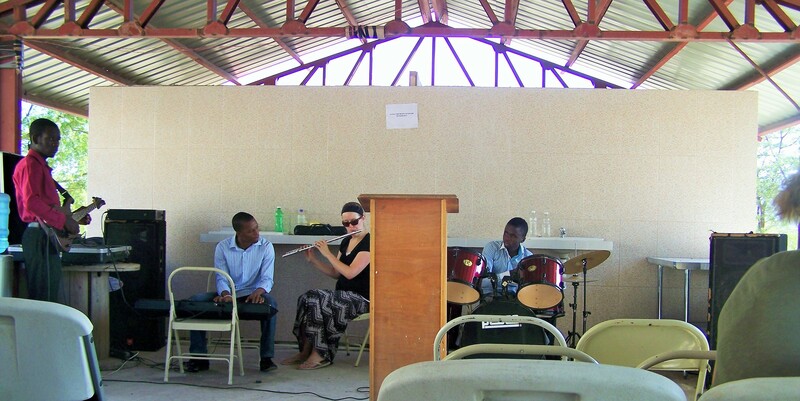 One of our US friends had her flute with her and was invited to play with them. 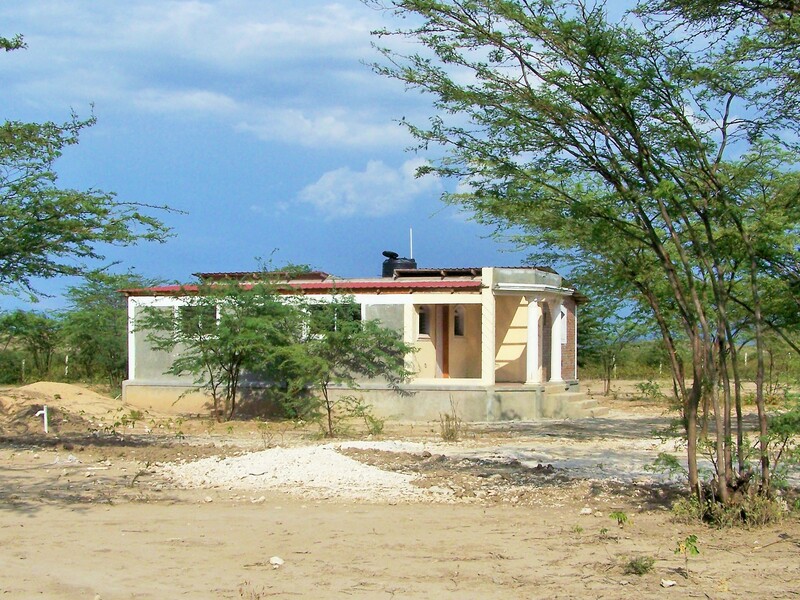 The work projects at the University were planting trees with the reforestation project, building desks, a medical clinic, VBS, and pouring cement sidewalks. There were probably even more, but my mind can’t pull them up! I helped at the desk building project. First I was an errand runner, then I was a painter. We only painted the steel frames. 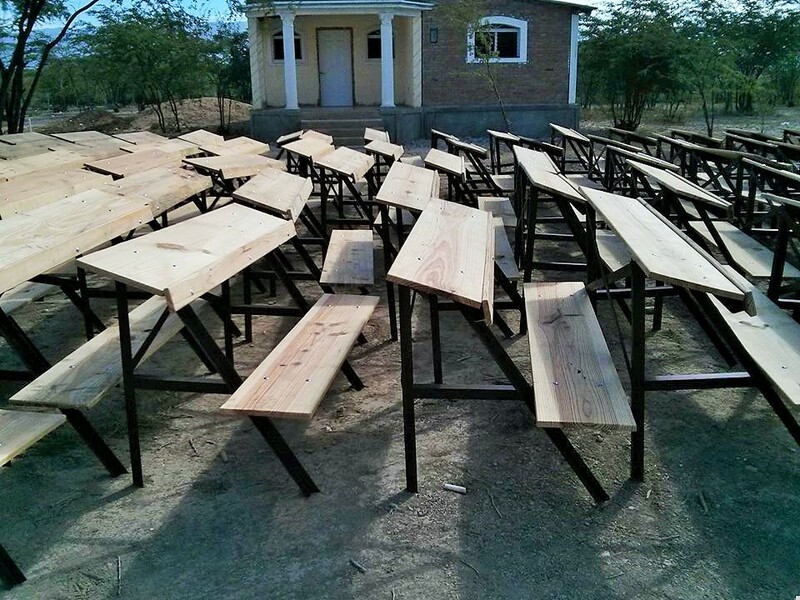 There were 120 desks built! Two or three students at each desk. They will be distributed to Free Methodist schools all over the country! This university is new and has a lot of promise! I’m so glad I got to go to see it and meet some of the people connected with the university and some who were in my group of workers! One special group was from McPherson, Kansas. I’m in the middle of this group in a blue dress. Jamie Piper, Sarah Johnson, me, Chuck Singleton, Ali and Kyle Singleton, Joel Piper. On Sunday afternoon, I joined the goat team! I had to say good-bye to Haleigh. I knew she would be fine with so many folks watching over her! We left and drove back, in the pickup truck. to Port-au-Prince. We were team #2. Donna Maxedon, myself, Lars Adams, Linda Roberts, Ali Singleton, Marv, and (I’m sorry, I’ve forgotten his name.) There is so much more to tell you. I’ve only just begun! Check back in a few days and I’ll have another chapter done with more pictures! This entry was posted in Children, Free Methodist Church, Haiti, Haleigh, Me, Memories, Providence University, Travel and tagged Free Methodist Church, Haiti, Haleigh, Me, Memories, Providence University, Travel. Bookmark the permalink. What a wonderful, fun project to be on! Things have change in Haiti – American women are wearing shorts! When we were there many years ago, we all had to wear skirts. Looking fwd to part II. Yes, everyone dressed like they were here! The Haitian women and girls wear tight pants, jeans, and skirts, like Americans! I liked it better when they wore their pretty full skirts! But they are still the same sweet people with beautiful smiles! It’s lovely to see all the generations working together across cultures. You have deposited another constructive item into your memory bank here. You may not remember all the details a year from now. 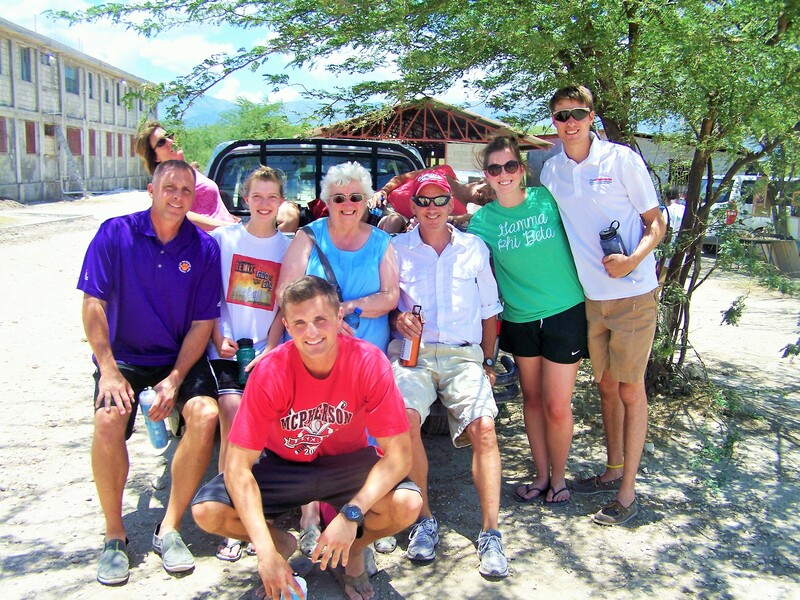 Our group from First Baptist went to Haiti about a month ago. 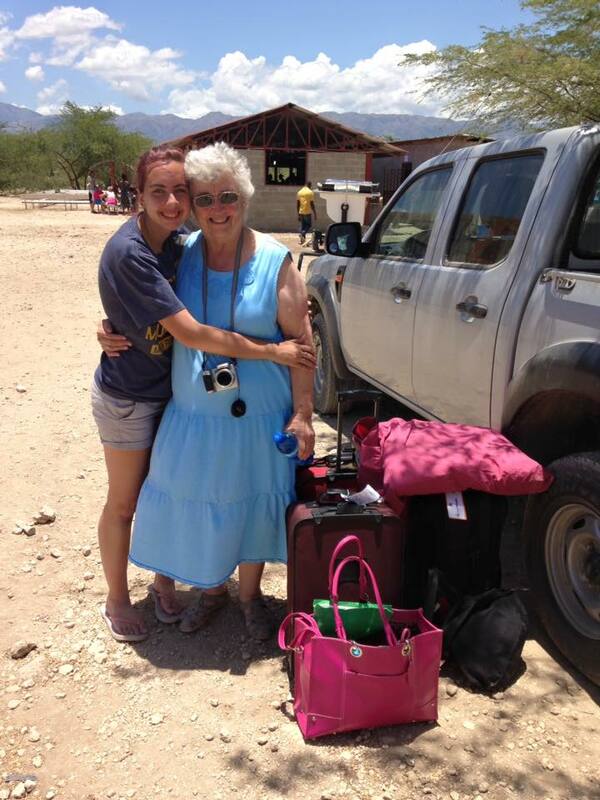 The trip is life-changing for adults and youth alike.